March entered like a lion, for sure, but the lamb hasn't arrived quite yet. 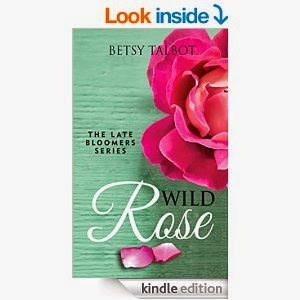 Wild Rose by Betsy Talbot. I first discovered Betsy and her husband Warren through their blog, Married with Luggage. Now, Betsy has published the first of the Late Bloomers Series about five 40-something women who choose adventure and travel when they hit crossroads in their lives. Building Literacy with Love. This book is for another graduate level class I am taking this semester. The authors include strategies for parents and teachers to create a culture of literacy in their home and classroom. The book is very user friendly and a good resource. Macarons. Earlier last winter, I registered for a class through a local continuing ed. program. The class, The Art of the French Macaron, was taught by a former food writer and editor turned chef. What fun! I may do a recap, but in the meantime, here is the finished result. Not bad for a first time, right? PiYo. This pilates-yoga hybrid is on sale this month and I'm excited to add this Beachbody program to my repertoire. And if it all works out, I may get certified as an instructor. We'll see. WITS15. I was fortunate to attend and volunteer for the second annual Women in Travel Summit, held in Boston last weekend. Filled with seminars on everything from building your brand to staying safe while traveling, this summit, dedicated to all things travel, provided great information, great networking opportunities, and great swag. The speakers were inspirational and practical and it was wonderful to be surrounded by women who are true change makers in their community and in our world. My niece and her team, who earned a paid bid to the Varsity All Star Cheerleading Summit. They work so hard. It's wonderful to see them achieve such success. Getting in all of my water ounces every day. Getting my own free ticket to Beachbody Summit with my team in Nashville in July. Planning our 3-day Patriots Day weekend getaway. My husband has the holiday off too, so we're hoping to get out of town. 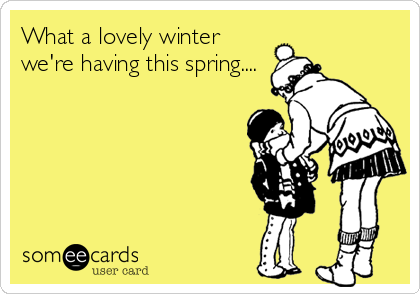 I'm just looking forward to this being the last month of the semester! Hi Kelly, always enjoy your Ahora post, but am always fascinated on how you manage to do so many things in a month. The Wild Rose looks like a fun book, as does your art of the French Macaron class, nice job, they look delish! Not sure how much "fun" you are having wrapping up your graduate class, but on the other hand, what an accomplishment! Drink plenty of water in the interim. Have been eager to hear your update on the Women in Travel Summit and it appears from your brief update to have been worthwhile, with an opportunity to meet some new friends and colleagues while learning some valuable new information. Best Wishes for much success in your endeavors over the next couple weeks, and from there... a lovely few days away! Fun! Any ideas on where you might go over Patriots Day? It will feel like spring here today...rainy and upper 60s. I'll take it, though. Have a wonderful weekend, Hilda. He's been talking about Montreal and I have been thinking about the Finger Lakes of NY. We'll see. Given our weekends lately though, I wouldn't mind staying close to home and maybe taking a day trip into NY or an overnight around here...maybe Portsmouth, NH, which we also love. Nevertheless, it will be a good one. Have a great weekend! It's better for me that I am. :-) Have a wonderful weekend! Thank you, Peggy. I think I do better when I have a lot going on. But then, I look forward to weekends where I can just recharge my batteries. Happy Easter to you! There's never enough time. Slacker? Hardly. :-) Having so many projects is good for me, but I look forward to those quiet times to recharge. Have a wonderful weekend, Farin! Eventually, I would like to make it to TBEX, but for now, WITS was exactly what I needed. I thought about BlogHer, but it depends on what kind of hotel "deals" are available, and in NY? Doubtful. Maybe a one day pass? Who knows. :-) Have a wonderful weekend, Christy. I can imagine! Good luck with finishing up, Rebecca. Have a great weekend! Happy Easter to you Kelly and all of your family!